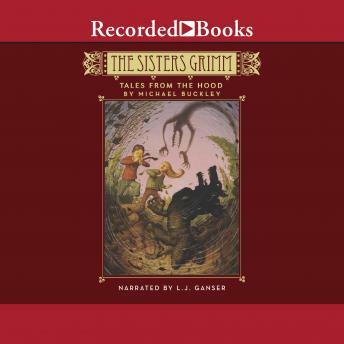 Michael Buckley’s Sisters Grimm books blend humor, mystery, and fantasy. They have earned him numerous accolades, including two Oppenheim Toy Portfolio Platinum Awards. In their sixth adventure, Sabrina and Daphne must defend their friend Mr. Canis (aka the Big Bad Wolf ) when he is put on trial by the Everafters for his past crimes. It’ll take all of the sisters’ skills to outwit the merciless Queen of Hearts, who is determined to kick Canis and the Grimms out of Ferryport Landing—forever. Love these books... very intriguing and written by my favourite author. Narrator was excellent.